Robertson 100 condo is conveniently located at the River Valley vicinity, near the entertainment strip and with a host of other fine dining restaurants. Robertson 100 offers resort style facilities in a exclusive location. It is designed like an expansive Mediterranean resort. Using exotic Terracotta-colored roofs and waterfalls and mature landscaping, this is a choice pick for many expatriates and potential buyers. It is designed with quality fittings and fixtures cleverly hiding the white goods behind closed cupboards. Robertson 100 is situated at the fringe of the Central Business District (CBD), which is within walking distance to the nightlife of Mohamed Sultan, Riverside Point, Clark Quay and Boat Quay. With the Somerset MRT station just minutes away and major expressways (CTE and PIE) nearby, transportation is convenient and quick. Landlords OK with that. Not a place for families, expat or simply decent people. AVOID! Excellent location. Walking distance to numerous bars and restaurants. 5 mins drive to city and Orchard. An oasis in the city. The condo is extremely well maintained and the space is functional. Excellent value for money. Near business district and shopping area. Plenty of anmenities and yet quietly located away from the bustling crowds. Current tenant in this estate. Simply loved this cosy development where I can sit by the pool without any disturbances. Ulike the mass market condos, I like the serenity of this place. The profile of residences are mainly Europeans and Japanese. Lovely people to meet at Lobby or Pool. Walk to the River with my daughter is my favourite past-time. I love the aldies night out in my favourite Bistro where we catch up! Everything within reach. Love it!! 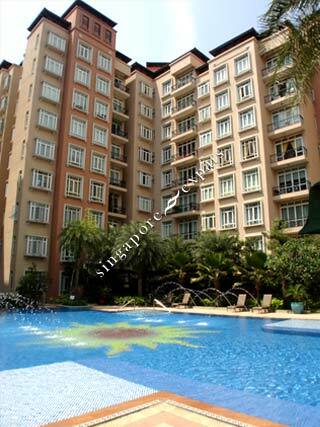 This apartment is most sorted for in the expats comunity.. Easily access to Orchard Road and CBD. Vibrant and yet quiet. This mediterran lifestyle condo more like a resort living.